What was once on the cover of a famous album and on millions of British postcards since the 1930s, can now be the address of your new home. Neighbour with Apple at Battersea Power Station and show off your new home on the site of an iconic British landmark. At the heart of one of central London’s largest and most visionary new developments, Battersea Power Station is London’s vibrant new town centre and could be your new neighbourhood. Feast your eyes on the breathtaking panoramic view of the River Thames and the city of London from your own terrace at Battersea Power Station. Own your dream home at Battersea Power Station, and welcome your friends and family to your spacious London apartment, right in the centre of the city. Live in iconic buildings designed by world class architects, and choose interiors for your apartment that are just as impressive as the British landmark itself. Step out of your front door and into Battersea Park. Stroll through acres of greenery in one of London’s largest parks, just a short walk away from your new home. With an unbeatable schedule of events every season, including festivals, outdoor screenings and activities for kids, living at Battersea Power Station gives you VIP access to London's best events. Circus West Village is home to an award-winning hair salon, one of London's coolest workout studios, and there's lots more to come. Step out of your door and into one of London's most exciting new riverside neighbourhoods. Everything you need is available on your doorstep at Battersea Power Station. From places to eat, drink, shop, exercise, or simply relax in, London's newest neighbourhood has it all. Shop ‘til you drop at London’s most exciting soon-to-be-open retail destination. From global, luxury outlets, to the best of British heritage brands, your home will be just a stone's throw away from a truly unique shopping experience. Located on the south bank of the river, we're just a short walk from Sloane Square and Victoria, or a scenic ride on the River Bus along the Thames. The Northern Line Extension due in 2020 will bring a new, Zone 1 underground tube station to Battersea, connecting the area to the most popular parts of London. 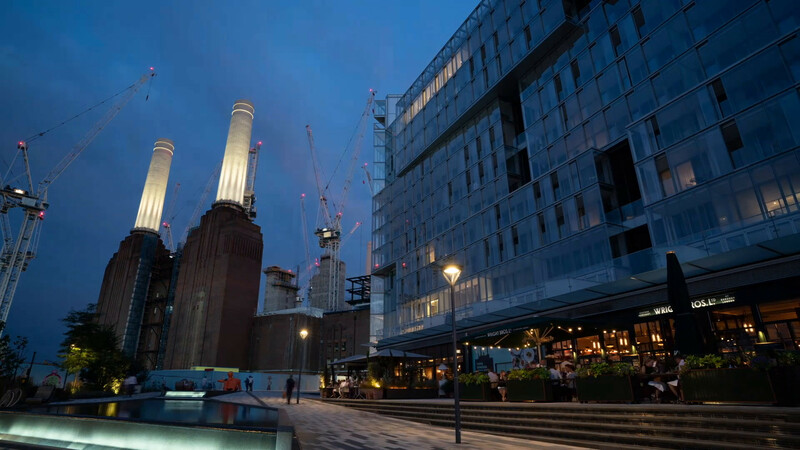 Visit Circus West Village, at Battersea Power Station, and explore an eclectic mix of riverside restaurants, cafes and bars. Enjoy brunch, lunch, dinner or drinks, celebrating a range of cuisines from around the world. If you would like to make an enquiry, please get in touch with us.